Émission diffusée initialement le dimanche 15 mai à 20h sur Radio Brume 90.7. The availability of new printing technologies and materials, in additive manufacturing processes and more specifically 3D printing, initiate profound mutation of biotechnology engineers’ way of thinking. Our group have been working on this new paradigm for the last 2 years, digging deeply into the 3D printing technologies and ink formulation to achieve complex 3D objects, composed of printed living cells evolving into human tissues or photopolymers bearing biomolecules. These 4D printed objects, by the access to unprecedented sensing layer complex geometries, generate biological diagnostic devices such as immunosensors but also enzymatically active 3D objects for biosensing and catalysis. Céline A. Mandon obtained her PhD in Medical and Biological Engineering at the Université Claude Bernard-Lyon 1 in 2005. At the interface of biochemistry, cellular biology and nano-biotechnology, she developed bioluminescent stress inducible cell based assays for pollutants detection, and combined diagnostic/therapy processes for in vivo imaging, by immune cell labeling by hybrid nanoparticles contrast agents. She then take charge of the AXO Science’s (Lyon University Start-up) pre-clinical and clinical assays, IVD Certification and CE marking of high-throughput and multiparametric biosensors. She joined the 3d.FAB platform (ICBMS-UMR5246 unit) as associate researcher, in charge of developing of bioanalytical systems by 3D printing. – In the field of biochemistry, especially diagnosis with prototyping 3d lab-on-chip, novel materials for 3d medical devices, biocompatible polymers and cell-size 3d printing. 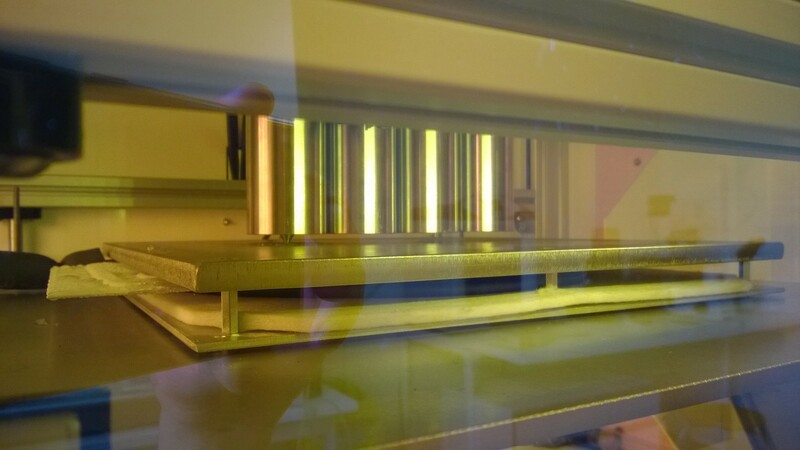 The main goal of this work was to print living cells with an open-source printer, part of the new logic of personalized regenerative medicine. The presented study provides skin equivalent 3D printing proof of concept with strong indicators such as viable cells integration and generation of a 3D network of neo-secretion ECM (Extra-Cellular Matrix), making the printed skin equivalents as close as possible to the real human skin. It was thus proved that printed cells survived and growth following the printing process thanks to the developed bio-ink. Skin equivalents were successfully printed and behave similarly to human skin. These results are really encouraging with high potential applications in the field of regenerative medicine and 3D organ model systems. Léa Pourchet works at Lyon University in an academic Institute specialized in chemistry and biochemistry (ICBMS), France. She obtained a double degree as polymer engineer and research master “Matériaux innovants” of one of the top French Engineer school (Ecole centrale). She is currently research engineer in charge of 3D bioprinting development and PhD student in the group of Dr.Christophe Marquette. Her areas of expertise focus in the bioprinting especially the interaction between biomaterials and cells. She is also a manager of the new 3D platform 3D FAB specialized in bioprinting for biomedical and diagnostic fields. 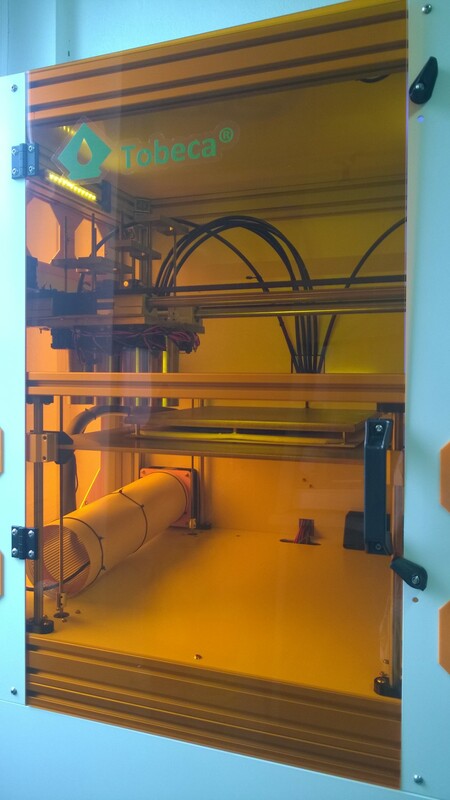 The 3d.FAB platform is host by the Université Lyon1 and is dedicated to 3D printing and additive technologies for life science. 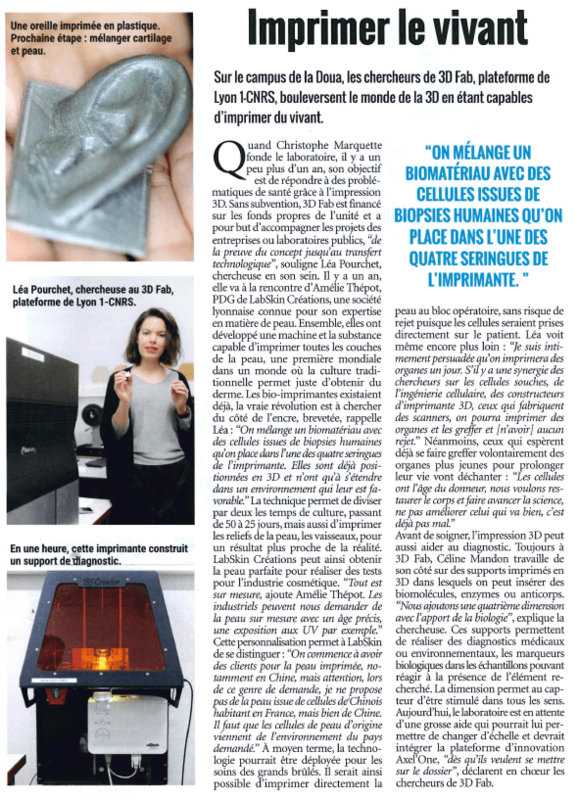 3d.FAB is part of the Biochip group of the UMR5246 (ICBMS). In the field of biochemistry, especially diagnosis with prototyping 3D lab-on-chip, novel materials for 3D medical devices, biocompatible polymers and cell-size 3D printing. In the field of regenerative medicine through dedicated living cells and tissues printers. 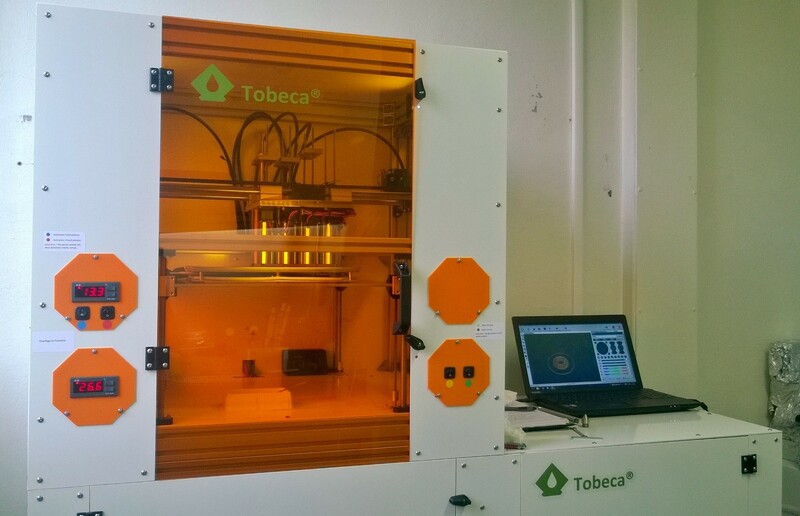 We received our new bioprinter made by TOBECA. 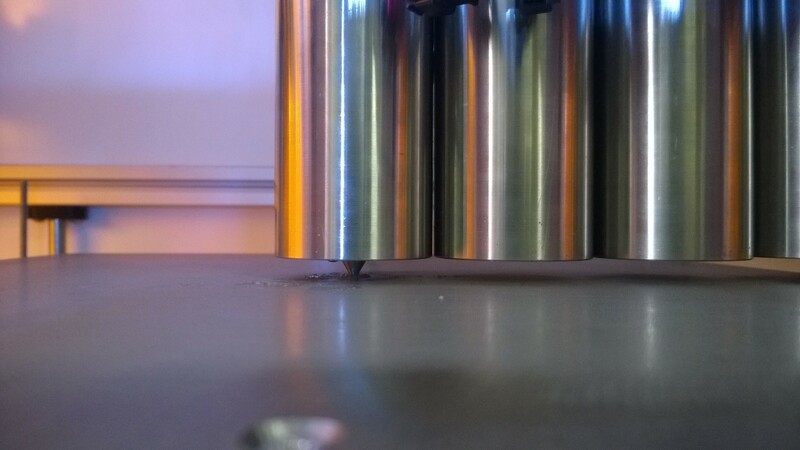 4 available syringes to print 4 differents biomaterials in the same construct. 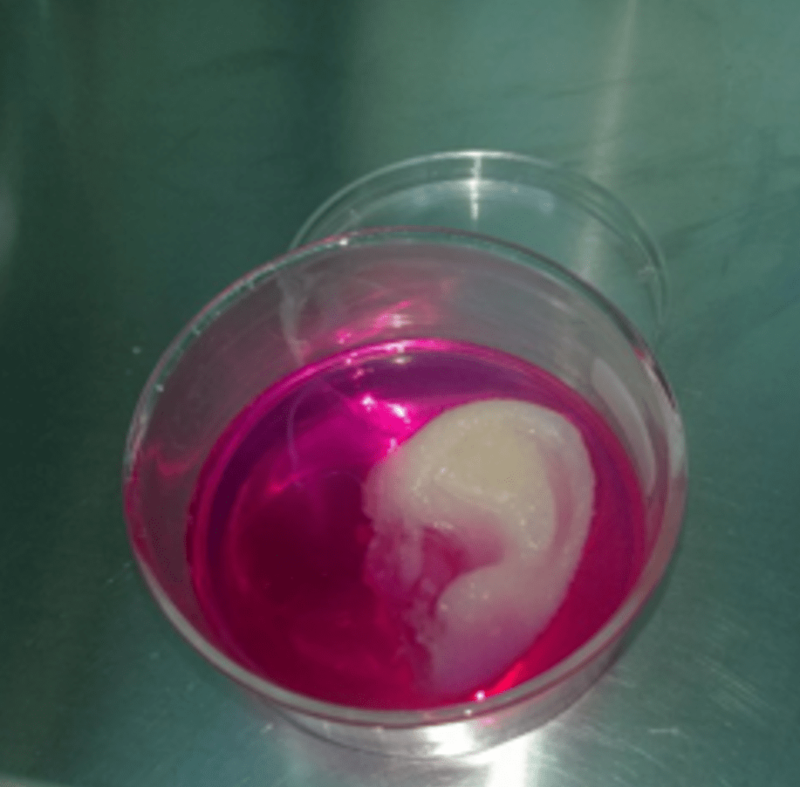 These improvements open new horizons in the field of bioprinting. Stay tuned to learn about our future developments! LabSkin Creations is a service company whose main mission is to test the effectiveness of ingredients and cosmetics on models of reconstructed skins custom made. 1. The design and design of the reconstructed skin model customized to the customer’s specifications and tailored to the interests of tested products. The 3D Skin Designer ®. 2. The production and implementation of the model of reconstructed skin in order with recurring application / products provided by the customer. The 3D Skin ® Factory. 3. Observance of the overall effect using histological staining helps guide further research and exploration to understand the asset mechanism of action: 3D Skin Scanner®. Two types of approaches are available to the client to continue the analysis: i) A study with approach tissue of skin markers by immuno-detection and quantitative analysis by image processing ii) A molecular approach to study modulation by the active ingredient in the expression of genes and / or proteins of interest in the reconstructed skin either by genomic or proteomic analysis. A scientific report comes with the evidence of the effectiveness of the product illustrated and quantified describing the protocol, summarizing and analyzing all the results, providing all generated images and videos and quantitative analyzes associated. This service is primarily intended for dermo-cosmetic, pharmaceutical and chemical commercializing finished products, raw materials and other ingredients. Contact : Mme Amélie THEPOT.